Long Island Businesses for Responsible Energy, Inc.
East Hampton is defined by the unique character of its hamlets, villages, and countryside, and has been recognized as an area of unusual beauty and natural resources. Its farmland is rated the best in the state. The Nature Conservancy has designated the area as one of the “Last Great Places in the Western Hemisphere.” The Town treasures and is committed to sustaining this rich array of natural, historic, and cultural resources, authentic sense of place, rural character, and the people who make it unique. East Hampton is, and will continue to be, a “green” community, a leader in protecting the environment, saving energy, and preserving open space. 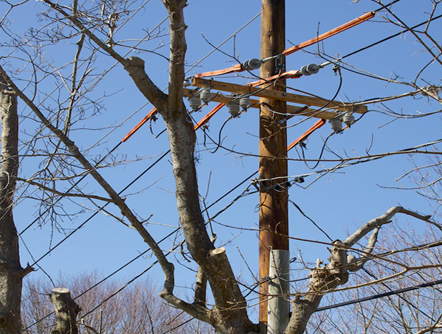 The hardening and upgrading of our electric grid, however, has not been harmonious with the unique nature of the existing character of the community. 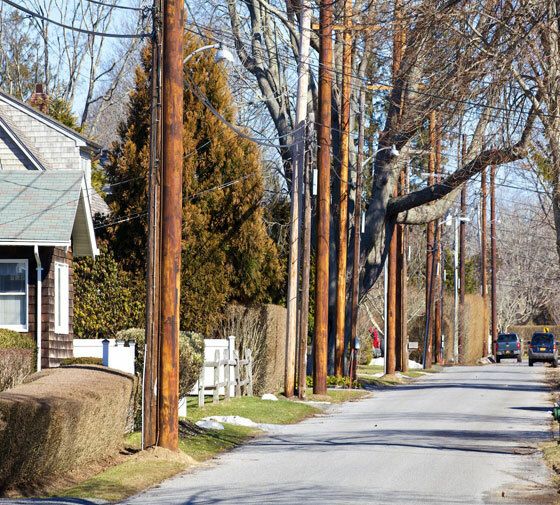 PSEG-LI’s installations of 267 toxic utility poles ladened with Pentachlorophenol, has contaminated East Hampton’s air, soil, and groundwater, destroying the aesthetic beauty of its residential areas, devaluing its homes, and creating a situation that negatively effects the health of its residents and its environment. In 2014, East Hampton residents, through a group called Long Island Businesses for Responsible Energy, Inc. (LIBFRE), with the expertise of attorney Irving Like of Reilly Like and Tenety, and Professor Leon Friedman of Hofstra Law School, filed a lawsuit against PSEG-LI and LIPA that would argue that the installation of these 267 toxic utility poles carrying high-tension lines along a 6.2 mile route from East Hampton to Amagansett, would reduce residents’ property values, impact residents’ health, and diminish the aesthetics of the neighborhood. In 2017, Steve Mintz, a founding partner of Mintz and Gold LLC, joined LIBFRE’s legal team as lead counsel in its David and Goliath fight. Members of LIBFRE have chosen a “road less traveled by,” a road that will give us a chance to right a terrible wrong, a road that assures a 21st century sustainable energy grid upgrade that preserves our health, our safety, our environment, our property values, and our significant scenic vistas. Long Island Businesses For Responsible Energy, Inc. (LIBFRE), was formed in March 2014 with the immediate goals of halting the 6.2 mile high tension transmission line from East Hampton to Amagansett, pulling the toxic poles, and burying the lines along a major corridor away from residential areas. LIBFRE was formed with an eye on the future focused on a safe and responsible energy infrastructure for Long Island. “We believe that the issue is the following: PSEG has created a lucrative deal with LIPA. They are a subsidiary of a NJ subsidiary that is a subsidiary of the parent holding company, the Public Service Electric Group Company that is located in NJ. When Governor Cuomo gave them a long-term operating service agreement for 12 years, which gave them the authority to invest their capital on Long Island, he provided them with the opportunity to realize a return on their investments. The agreement also allowed them to bring in third party providers of capital, whose profits on their investments will not be regulated, and to contract, for services and the purchase of power from subsidiaries and affiliates of the New Jersey holding company. What happens to those profits? Are they transferred to the New Jersey Holding Company, to be distributed to or for the benefit of its stockholders and senior management? Are the profits diverted out of the economy of Long Island, to the detriment of the PSEG Long Island Employees, Rate Payers, and Tax Payers? These are questions that need to be answered. We are also entitled to know, to what extent, if any, the long term operating service agreement between LIPA and PSEG causes a leakage of hundreds of millions of dollars each year from the Long Island economy to the detriment of its businesses, jobs and taxpayers. Long Island Businesses For Responsible Energy (LIBFRE) is a non-profit 501 C4 corporation that aims to ensure that the future of Long Island utilities focuses on a safe and responsible energy infrastructure. LIBFRE supports an energy upgrade that preserves our health, safety, environment, property values, historic sites, and scenic vistas. 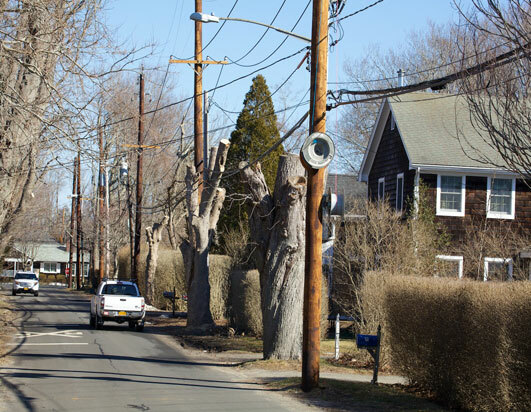 LIBFRE’s immediate goal is to halt and remove the overhead 6.2 mile transmission lines from East Hampton to Amagansett and reroute them along a 4 mile direct public corridor away from residential neighborhoods.